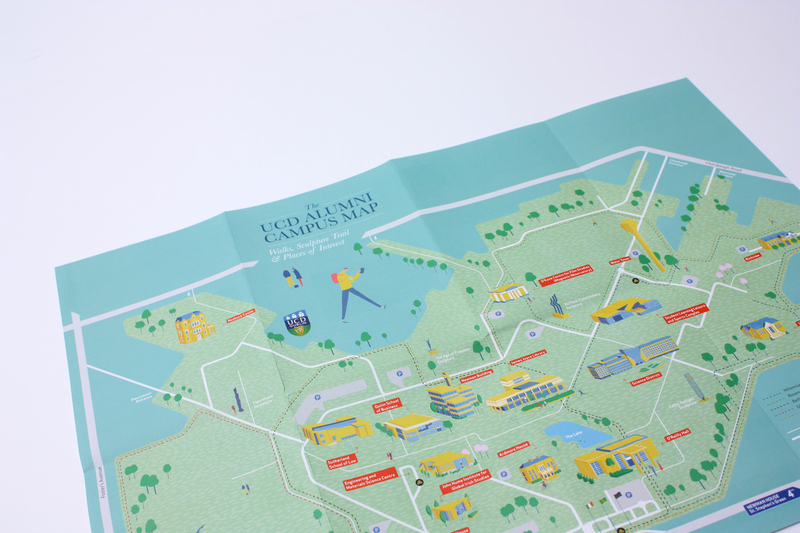 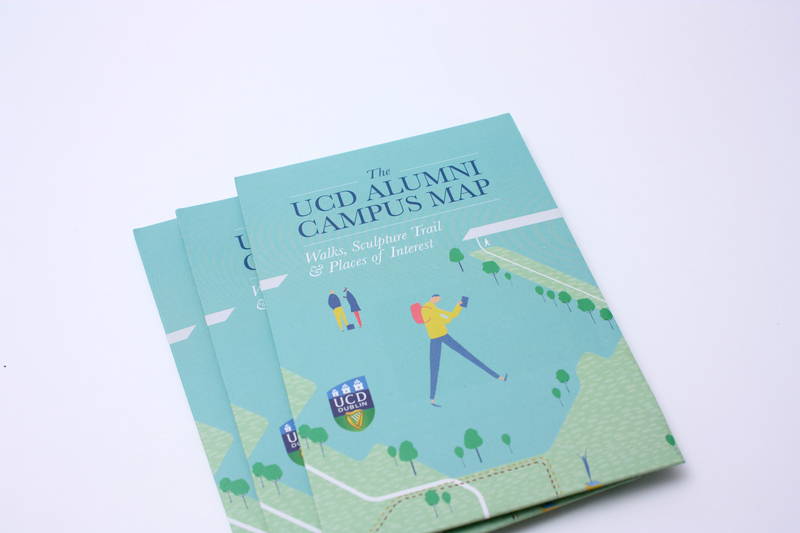 I designed this map of buildings and campus walks of interest to Alumni for one of Dublin’s biggest Universities, UCD. 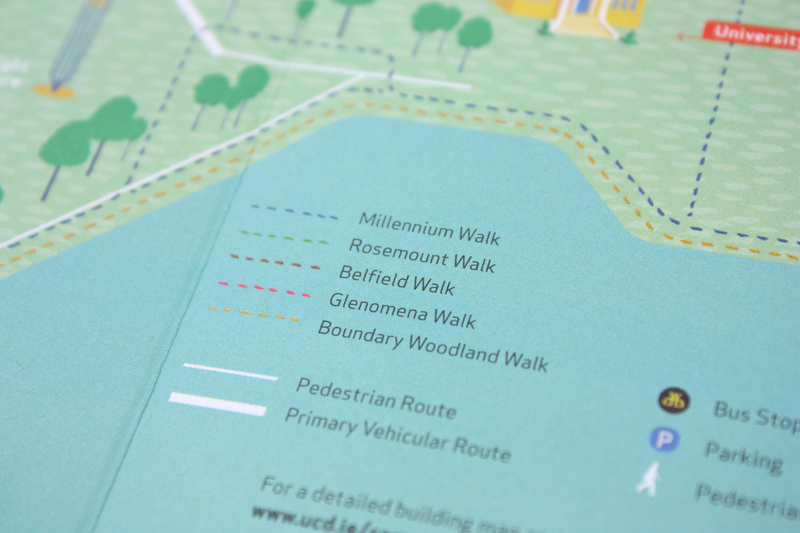 Initially used in their magazine, it subsequently got expanded and produced on its own to accompany a Woodlands Walk day. 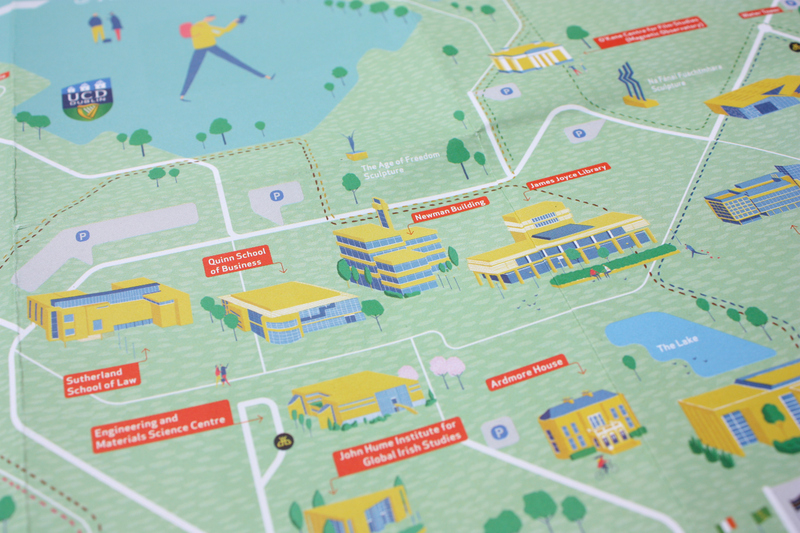 London-based Daniel Frost provided the delicious illustrations. 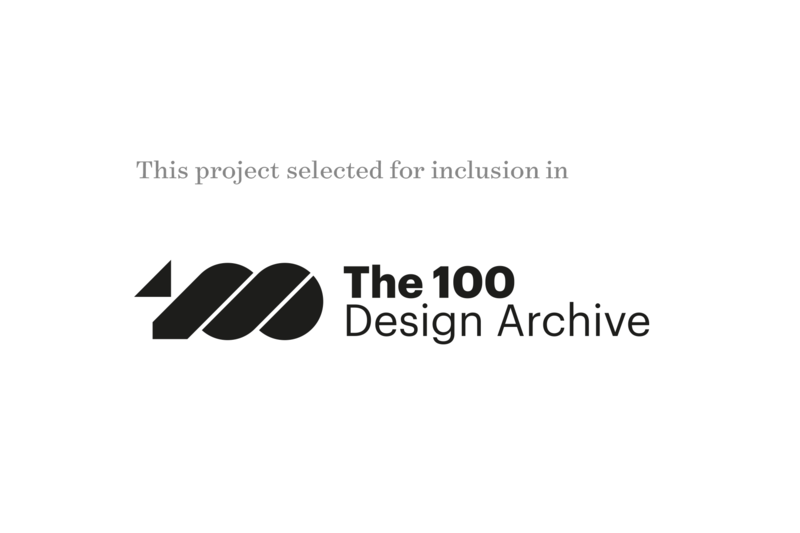 Project selected for inclusion in the 100 Design Archive.